How to Hide Your Spare Key in Style! 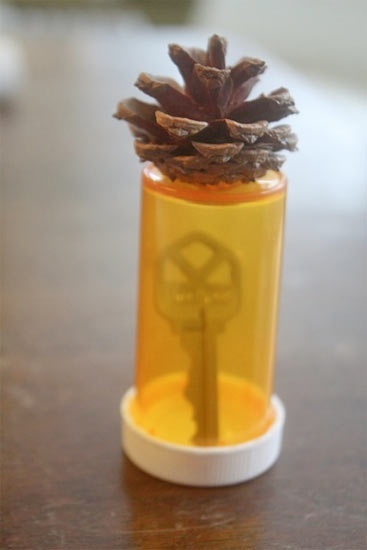 Here’s a good idea to hide your extra house key – put it in a medicine bottle, glue a pine cone or rock on top, stick the bottle in the yard or planter. Simple: How to white wash/antique your furniture! Sangria! Treat yourself this weekend! Mon- Fri 9 a.m. - 6 p.m.